Look at it again, carefully... something not very right as what been described above, right? Read through this news @ SinChew.com.my, what a contrast... ... ... 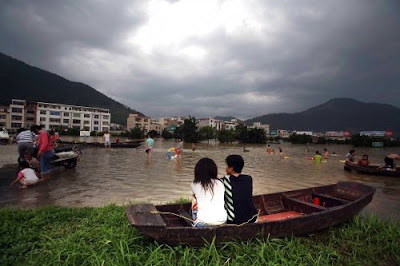 This photo was taken from fatal flood happened in China. When I first saw it on SinChew's home page, I thought it was something about romance, but it was the fatal opposite.